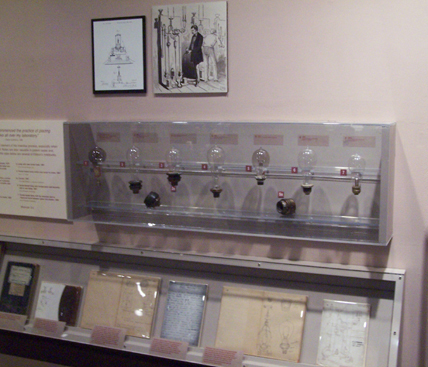 In 1878, Thomas Alva Edison set out to develop a practical electric light. For over a year, Edison and the staff at his Menlo Park Laboratory experimented with countless materials in the search for a practical filament. 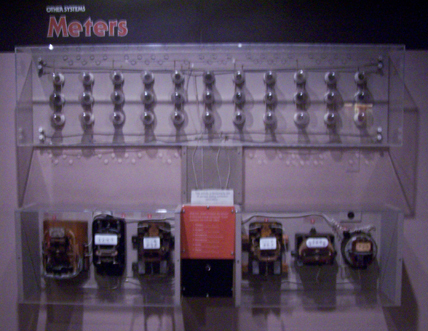 They also developed all the parts needed for a lighting system, including a new generator, underground conductors, and current meters. By the fall of 1879 the pieces began to fall into place, and on New Years Eve Edison invited the world to Menlo Park to see the new invention. 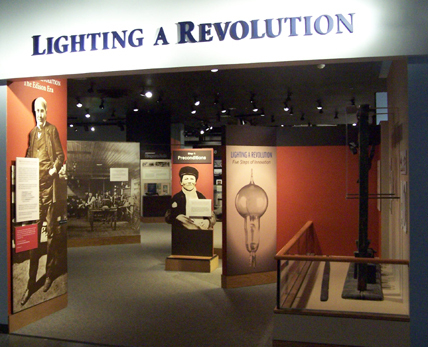 This exhibition, opened to commemorate the centennial of Edison’s light bulb, considers experiments with electricity before Edison’s, the "Invention Factory" at Menlo Park, how Edison created a market for his product, and the impact of electricity in factories, on city streets, and in the home. 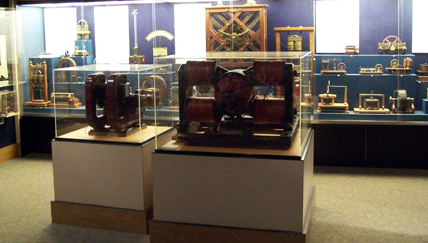 early electrical appliances for the home; some which caught on, such as electric fans, and some which did not, namely the electric marshmallow toaster.